Welcoming all New Members to the Royal Family! Come one, come all to the Spring edition of the New Member Run and Orientation. ALL paces are welcome. 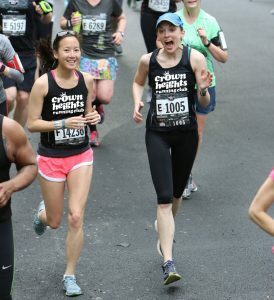 Meet us at 9:00 a.m. on Saturday April 22nd for an easy intro chatty run (about 4.5miles). Following the run, join us for a short orientation and breakfast as you wish at Berg’n led by our Chief Member Officers, aka Trusted Viscounts, Nick and Elly. Come learn about CHRC, meet your neighborhood running buddies and let us know how you would like to be involved! IF you are looking to go for a longer jaunt, meet the Long One group at 8:00 a.m. IF you’re just wanting to come to meet us (no running), join us at 10:00 a.m. at Berg’n. Of course, always, we will love seeing you! YE OLDE GEAR SHOPPE is OPEN! The Gear Shoppe is open APRIL 16 until APRIL 26. If you’ve been waiting to secure your gear for upcoming Spring and Summer races, now is your chance. Take a look at the *NEW VINTAGE* as well as the *LIMITED EDITION : BROOKLYN HALF 2017* logos we have featured this round. Do not miss this opportunity to get an all-star race singlet for one of the biggest races of the year!! Not racing? No problem. We’ve got some sweet neon cotton blended gear & headbands for you to wear out to the cheer squads! 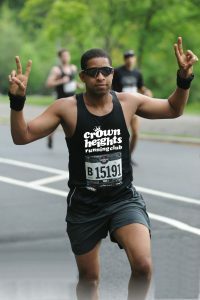 All gear will be distributed one week prior to the Brooklyn Half Marathon at a CHRC event in the neighborhood. 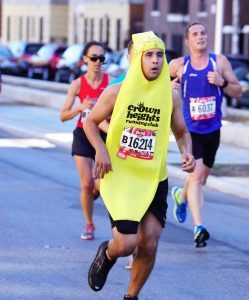 A secondary pick-up time will be provided for distribution at the Brooklyn Half Pre-Party. Gear will not be shipped. You can purchase all CHRC gear DIRECT from our website!! We have officially set up a payment system so you can purchase and complete payment for your gear hassle-free. No new log-ins, passwords, flying cash. Leave your running shoes at home; come and hang out with your running and neighborhood buddies. 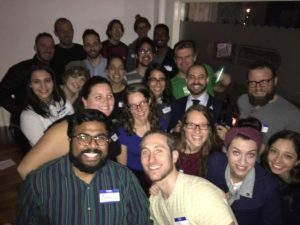 This is our monthly social meet-up for new members, old members, injured members….all the members of CHRC! 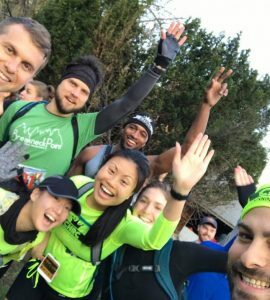 Let’s get to know each other and chat all things running and not!